First Coin in the series The hundredth anniversary of W.W.I is upon us. To commemorate this moment in time, the highly admired Pobjoy Mint have released a series of eight crown size coins, struck to proof sterling silver with a symbolic poppy etched in full colour. Fittingly named the "we will remember theme" series. 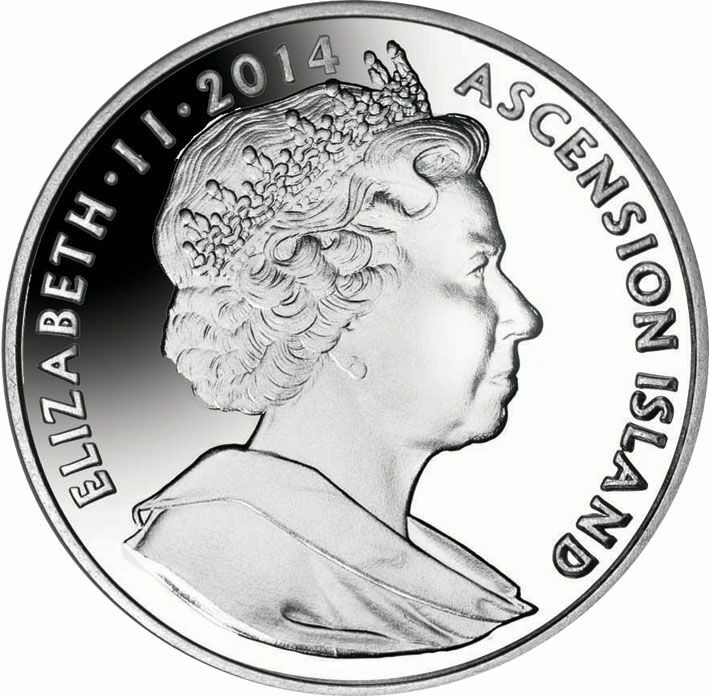 Ascension Island, British Virgin Islands, Falkland Island and the Isle of Man have two coins each, all telling their own story. 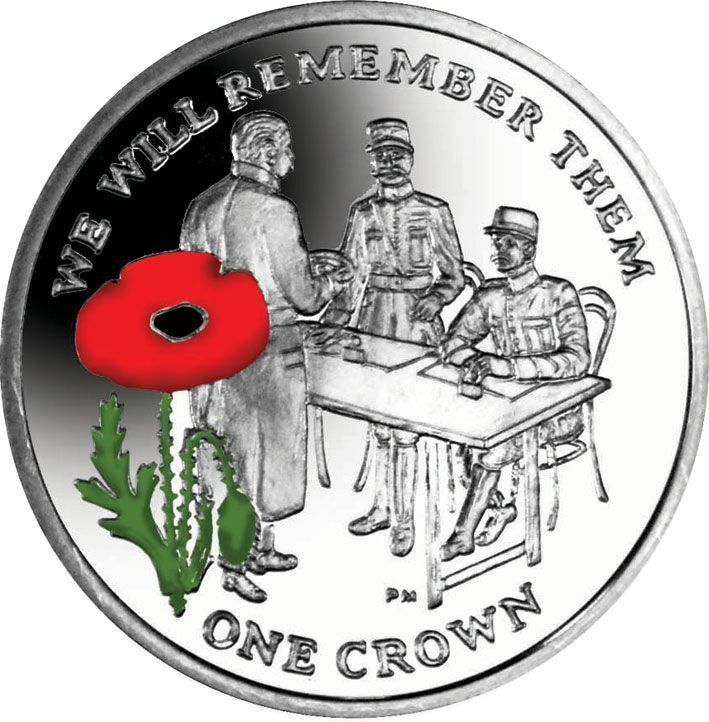 The first crown in the series issued by the Ascension Island shows the Signing of the Armistice on the 11th of November 1918 to mark the ending of the war that took so many loved ones. Now known as Remembrance Sunday. The I.O.M. depicts the image of the famous football match between the British and Germans on Christmas Day. Other coins in the series features the Royal Chelsea Hospital and a Chelsea Pensioner, a horse in the middle of no manâs land amidst barbed wire, the inspiration behind the book War Horse, as well as Lawrence of Arabia upon his camel against a background of Aqaba. This is a stunning set of silver coins to commemorate the five year struggle, each coin with so much history and beautifully designed an evocative item and definitely one to add to your collection.